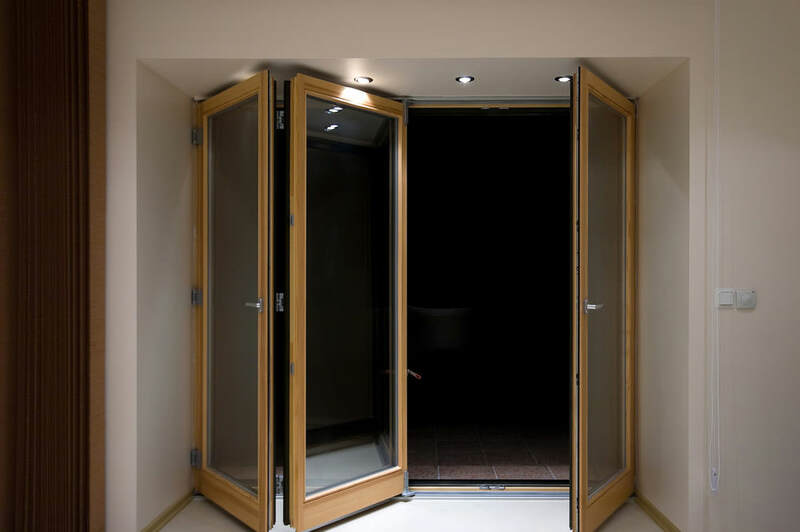 We offer high quality and impressive uPVC bi-fold doors to our customers throughout Fleet, Hampshire, Farnham, Camberley, Surrey, Aldershot, Basingstoke, Hook, parts of Berkshire, Farnborough, Bagshot, Lightwater, Cove, Frimley, Yateley and surrounding areas. 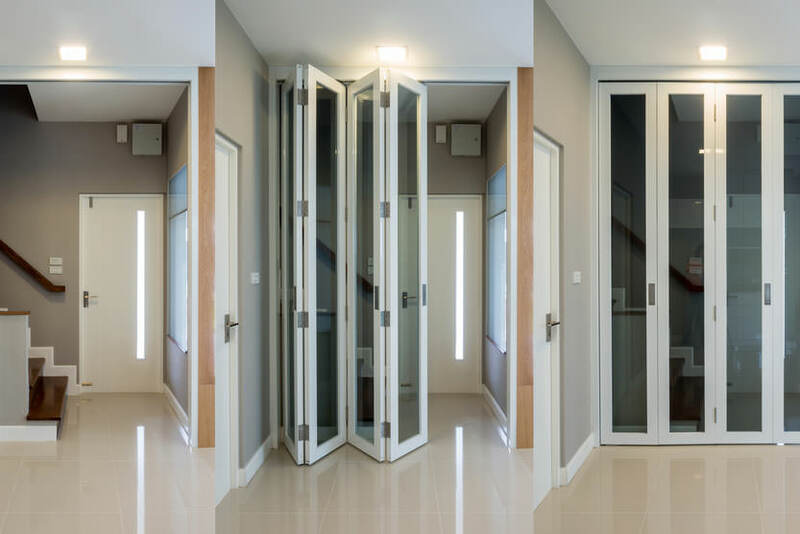 Your home will be enhanced by these beautiful and functional sliding doors. Visit our online quote calculator for a free quote. We work with Kat UK, Liniar & Synseal Evolve, to offer superb uPVC bi-fold doors to our customers in Fleet, Hampshire, Farnham, Camberley, Aldershot, Basingstoke, Hook, Farnborough, Bagshot, Lightwater, Cove, Frimley and Yateley. These exceptional bi-folding doors are not only a luxurious home improvement; they also provide incredible features and benefits that will enhance your property. Designed using cutting edge technology, our uPVC bi-fold doors combine contemporary styling with high performance materials and characteristics. You will benefit from excellent energy efficiency, high security and outstanding durability when you choose one of our double glazed bi-fold doors. The design options are wonderful, enabling you to choose from single or dual-colour finishes. The aluminium tracks and hinge covers are available in either a White or Brown finish. There are hardware elements and flag hinges available in white, polished gold or polished chrome finishes. You also have a fabulous choice of uPVC frame profiles of which can be further tailored with the glazing bead styles of chamfered or sculptured ovolo. Our uPVC frames have thermally broken aluminium tracks at the top and bottom which provide outstanding energy efficiency when coupled with our high quality double glazing. Heat loss from your home will be minimised and warmth trapped within, so your property will be warmer for longer, enabling you to use less heating. The Evolve bi-fold doors from Synseal are precision engineered, giving them exceptional frame strength. When this is combined with our high security multipoint locking mechanisms, you can be certain that your home is protected against break ins. Potential intruders will be perturbed by our supremely safe bi-fold doors, so your family and property will be secure. Designed to be incredibly durable, our uPVC bi-fold doors will never warp, rot or fade. You will find that they are extremely low maintenance, requiring just the occasional wipe over to ensure they retain their pristine condition. There will be no time consuming and costly maintenance required when you choose our double glazed bi-fold doors. We are proud to offer a 10 year fully insured guarantee on our exceptional uPVC bi-fold doors. You can be confident that your new double glazed doors will last year after year, providing you with the high quality performance you would expect from market leading manufacturers Synseal. With our uPVC bi-folding doors available to homes in Fleet, Hampshire, Farnham, Camberley, Aldershot, Basingstoke, Hook, Farnborough, Bagshot, Lightwater, Cove, Frimley and Yateley, you can expect competitive prices. We like to ensure that all our double glazing installations are cost effective, offering brilliant value for money. See just how fantastic our bi-fold doors prices are with our free online quote calculator. Simply enter your requirements and you will receive an almost instant quote tailored to your specifications.